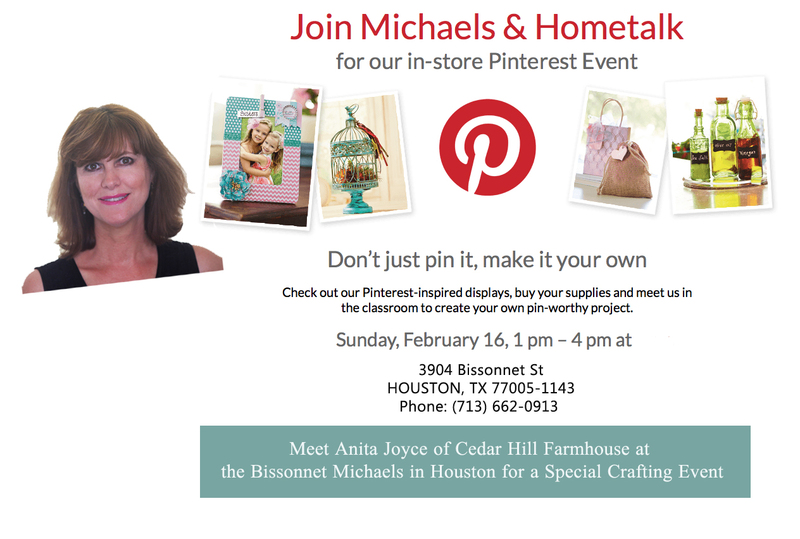 Are you in the Houston area? I would LOVE, LOVE to meet you in person!! Micheal’s is having a Pinterest Party on February 16 from 1 – 4 at all of their stores. 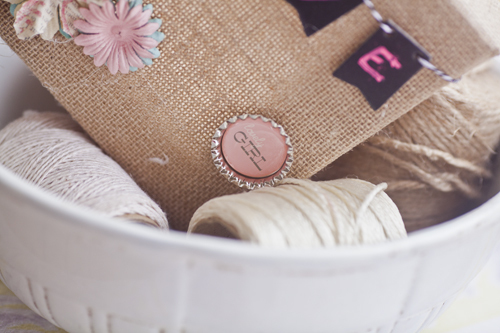 The event is free, but you will need to purchase any craft supplies you use during the event. Here’s a look at two of the canvases I made with my Michael s supplies. 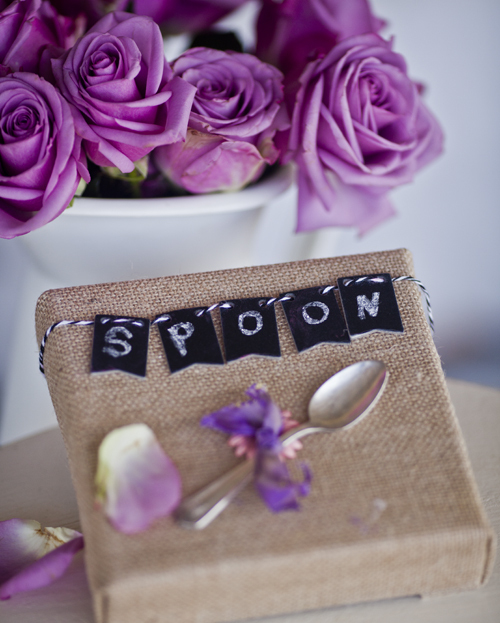 I used the little chalkboard flags, and chalkboard markers to make the ‘spoon’ sign at the top. 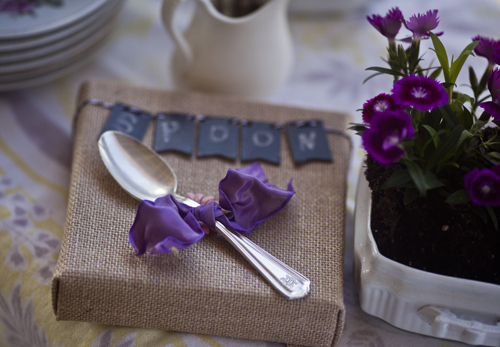 The spoon is a demitasse vintage silver spoon from my collection, but you could use any spoon you have. I glued everything down with my glue gun, and I was done. It was so easy I made another one. For the ‘love’ canvas, I used flower pieces and bottle caps from Micheal’s. For the canvas below, I used a full-sized silver spoon. Well that was a blast! There are several Pinterest inspired projects you are work on, or make up your own. I sure hope you can come!! Oh, pooh. . .I live on the Prairie…but not in Texas, dear friend!!! Perhaps we’ll chance to meet another time. One can certainly wish! 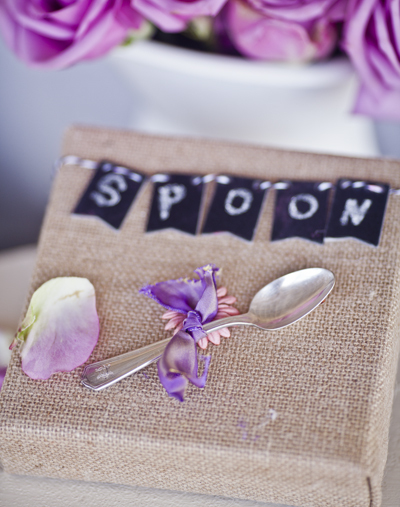 I love the vintage spoon!!! Very cute canvases, Anita. What fun! They picked a winner with you! OMG… so darling! 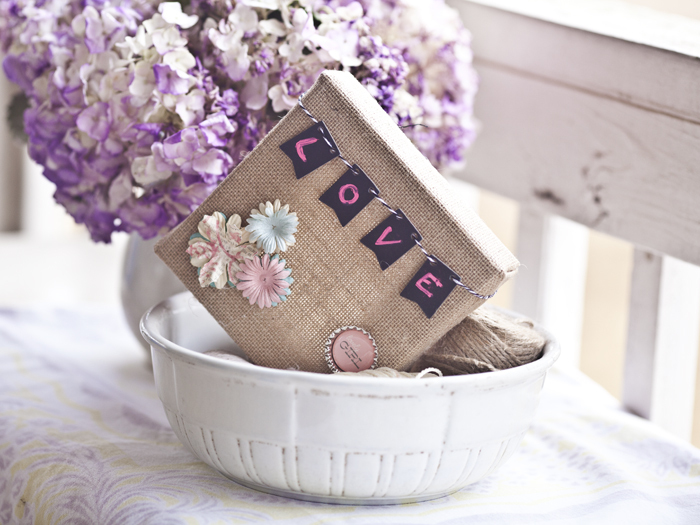 Love the mini burlap canvas! Live no where near you but I’ll enjoy hearing about it. The little burlap canvas is so cute. What a creative and lovely idea…thank you!!!!! Oh I so wish I was able to meet you but NJ is quite a ways from NJ. Love you two canvas pieces. Lucky fans that get to meet you Anita! LOVE your Michael’s craft,.. especially the added spoon! Such cute canvases Anita…and good luck at the “party”..I am sure you will have a great turnout! Just lovely! 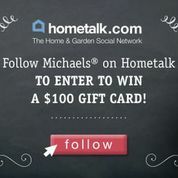 I’ve enjoyed getting to participate with you in the Pinterest Party!